This week, I will return to the central Illinois region for a two-day residence at Illinois Wesleyan University! I will teach composition lessons and give a seminar to student composers about the business side of being a composer. 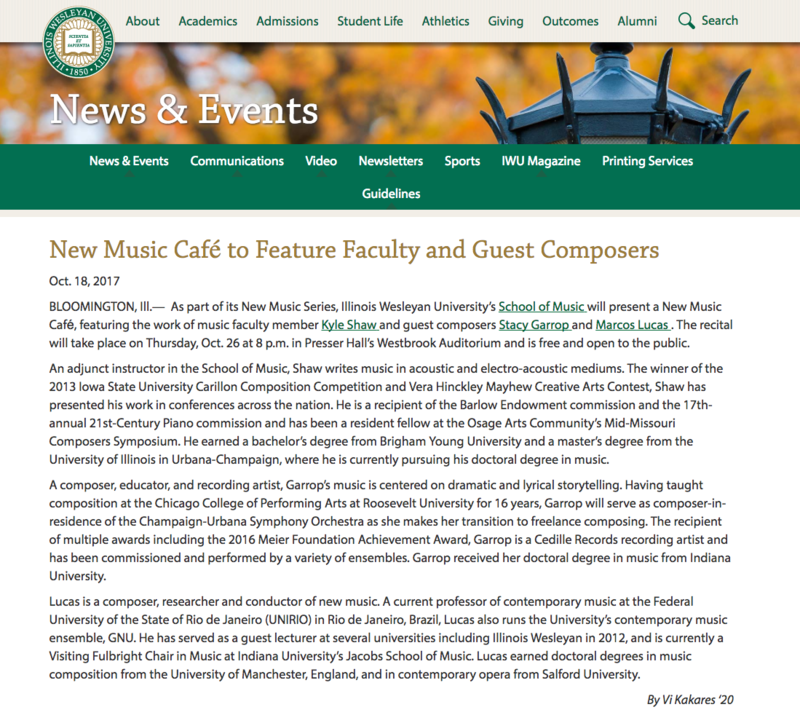 Also, my Tango Gardél for solo piano (in homage to the Argentine singer Carlos Gardél) and my We Real Cool for voice and piano (with text by Gwendolyn Brooks) will be featured on IWU’s New Music Café concert. The concert is on Thursday, Oct. 26th at 8 PM in Presser Hall’s Westbrook Auditorium. Admission is free. A press release about the concert is below. Come join us for a great evening of new music!